STAMFORD, Conn. – February 26, 2019 – NBC Sports Network (NBCSN) will add a simulcast of Sky Sports News to its programming lineup each weekday from 11 a.m.–Noon ET, beginning this Friday, March 1. Sky Sports News highlights many of the sports properties and leagues that U.S. viewers enjoy on the networks of NBCUniversal, including the Premier League, NFL, Olympic sports, golf, auto racing, horse racing, and rugby. 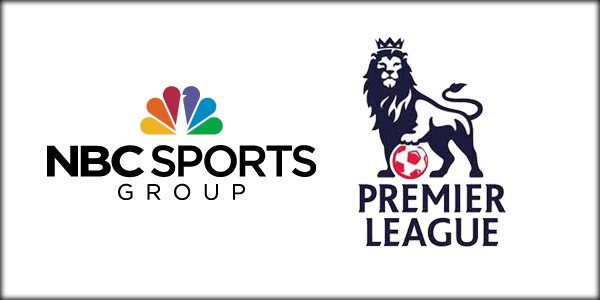 This is the second major full-program collaboration between NBC Sports and Sky Sports since Comcast acquired Sky TV in October 2018. On January 31, NBC Sports and Sky Sports News combined to present a six-hour “Premier League Transfer Deadline Day Special” for U.S. viewers. STAMFORD, Conn. – Oct. 13, 2014 – Following the most-watched NHL opening night doubleheader on record, including the highest-rated regular-season game ever on NBCSN, the network’s NHL coverage continues this week featuring an Original Six Wednesday Night Rivalry matchup between Milan Lucic and the Boston Bruins, and Jimmy Howard and the Detroit Red Wings, this Wednesday at 8 p.m. ET. This week’s NHL coverage on NBCSN begins tomorrow with the Carolina Hurricanes hosting the Buffalo Sabres at 7:30 p.m. ET, followed by the premiere of Original Six, a new episode in the NHL Rivals series, at 10:30 p.m. ET. Hockey coverage concludes this weekend with two college hockey contests featuring Notre Dame and Lake Superior State this weekend. NHL game coverage begins both nights at 7 p.m. ET with NHL Live, NBC Sports Group’s NHL pre- and post-game studio show. Kathryn Tappen makes her 2014-15 NHL Live debut by anchoring Tuesday’s coverage alongside analysts Mike Milbury and Keith Jones, while Liam McHugh hosts Wednesday’s coverage with Milbury, Jones, and TSN Hockey Insider Bob McKenzie, who joins NBC Sports Group this year with more than 35 years of hockey reporting experience. NBCSN’s Wednesday Night Rivalry first intermission coverage will feature an in-depth conversation with Milbury and McKenzie regarding the future of fighting in hockey. Last week, Milbury was outspoken about it being the right time to eliminate fighting from the game. 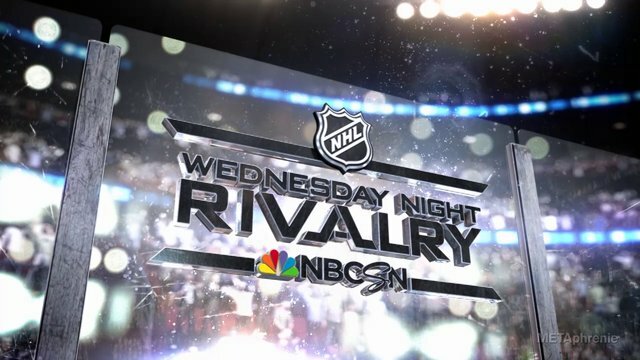 This week’s iteration of Wednesday Night Rivalry on NBCSN features an Original Six showdown between the Boston Bruins and Detroit Red Wings on Wednesday at 8 p.m. ET. The Bruins and Red Wings square off in Detroit for the second time in less than one week. Last Thursday, Jimmy Howard turned aside 16 of 17 shots, while Justin Abdelkader and Gustav Nyquist found the back of the net in a 2-1 Red Wings victory. The two teams also met in the first round of the 2014 Stanley Cup Playoffs, when the top-seeded Bruins dispatched the Red Wings in five games to advance to the second round. Emmy Award-winning play-by-play commentator Mike ‘Doc’ Emrick, analyst Eddie Olczyk and Emmy Award-winning ‘Inside-the-Glass’ analyst Pierre McGuire will have the call from Joe Louis Arena in Detroit, Mich.
Wednesday Night Rivalry kicks off with the return of NHL Rivals, NBCSN’s original series that examines the history and personalities that comprise hockey’s greatest rivalries, Tuesday night at 10:30 p.m. ET. This week’s episode highlights the history of the Original Six rivalries that dominated the sport from 1942-1967, when the league featured just six teams, including the Red Wings and Bruins. This week’s NHL coverage begins tomorrow night at 7:30 p.m. ET on NBCSN, when 2014 second overall draft pick Sam Reinhart and the Buffalo Sabres visit Eric Staal and the Carolina Hurricanes. Reinhart made his NHL debut last week in Buffalo’s 3-1 loss to Columbus. The Hurricanes enter tomorrow’s game following back-to-back losses to the New York Islanders to open their season. Dave Strader (play-by-play) and Brian Engblom (analyst) will provide live commentary from PNC Arena in Raleigh, N.C.
NBCSN kicks off its 2014-15 college hockey coverage with a weekend series featuring the Notre Dame Fighting Irish and the Lake Superior State Lakers, beginning on Friday at 7:30 p.m. ET. NBCSN will air live coverage of the second game between the Fighting Irish and Lakers on Saturday at 6 p.m. ET. Dave Strader (play-by-play) and Anson Carter (Inside-the-Glass) will have the call from Compton Family Ice Arena in Notre Dame, Ind. All games will be live streamed via NBC Sports Live Extra, NBC Sports Group’s live streaming product for desktops, mobile devices, and tablets. Tues., October 14 NHL Live NBCSN 7 p.m.
Buffalo at Carolina NBCSN 7:30 p.m.
NHL Rivals – Original Six (Premiere) NBCSN 10:30 p.m.
Wed., October 15 NHL Live NBCSN 7 p.m.
Fri., October 17 College Hockey – Lake Superior State at Notre Dame NBCSN 7:30 p.m. Sat., October 18 College Hockey – Lake Superior State at Notre Dame NBCSN 6 p.m.
Last week, NBCSN began the 2014-15 season with two matchups – Flyers-Bruins on Wednesday Night Rivalry, followed by the San Jose Sharks and Los Angeles Kings. Wednesday Night Rivalry’s Flyers-Bruins matchup (7:27-10:06 p.m. ET) delivered 956,000 viewers and a 0.57 household rating, making it the most-watched opening night game on cable on record (data available since 1993) and the highest-rated NHL regular-season game ever on NBCSN. NBC Sports Regional Networks are also posting impressive early season numbers, highlighted by the Blackhawks’ best start ever on Comcast SportsNet Chicago, averaging a 4.9 HH rating through two games. Overall, this season’s NHL games are averaging a 2.7 across the NBC Sports Group’s lineup of CSN regionals, up 15% vs. last year’s regular-season average rating (2.3). Last Thursday’s matchup between the Colorado Avalanche and Minnesota Wild on NBCSN delivered a 6.75 rating in Minneapolis, which was the best NHL regular-season rating ever in the market on NBCSN. 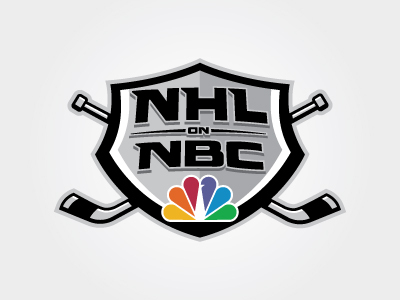 NBC Sports Regional Networks, which serve top NHL markets such as Boston (Bruins), Philadelphia (Flyers), Washington D.C. (Capitals), Chicago (Blackhawks) and the Bay Area (Sharks), will air more than 300 live NHL games and surround the 2013-14 NHL season with in-depth news, analysis and original programming on the teams that matter most.